Are you looking for a trusted local team of electricians based in Welling? Well, you have found the right team with Bristone! We are a small and friendly team of fully qualified electrical engineers based in Welling. We are happy to serve customers in and and around the Welling area and provide our customers with a trusted and efficient service that is right on your doorstep. Bristone’s Welling-based team of dedicated expert electricians are here to help you with all of your electrical needs, whether you need domestic or commercial based services. We are happy to help with individual homeowners, property landlords and local business owners. When you are in need of a local electrician, then do not hesitate to contact our friendly team for some free advice and assistance. We are happy to offer all of our customers free no-obligation quotations for electrical works and can come out for a free on-site inspection to reassure you about what is needed and how long the job will take. Our cost-effective electrical services are very competitively priced when compared to other suppliers, and because we are a small and dedicated local team, we don’t have the huge overheads of larger nationwide companies that will add extra charges to cover their costs. There are absolutely no hidden extras with our fully guaranteed service. 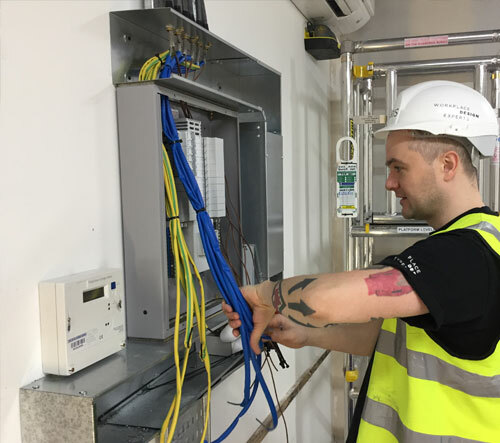 You can get great peace of mind with Bristone because all of our electricians are experienced and fully qualified to City and guilds level 2&3, NVQ level 3 and hold City and guilds level 3 inspection and testing. All staff are members of JIB/ECS and have current and up to date JIB GOLD cards. We also are CRB checked and vetted. Our qualifications can be verified via the ECS website. Unsure about what you need? Pick up the phone and give us a quick call. We will more than happy to help you with any electrical issues you have, whether you are suffering from an emergency, or you need some advice about an upgrade or new installation. We are pleased to offer all of our loyal customers an honest and reliable service at great prices and value for money. We truly believe that you will not find a better service in Welling, so when you need our help – we will be here for you! Do not hesitate to contact us when you need us for some emergency help, regular maintenance, upgrades or repairs. We are happy to offer you some free expert advice and guidance should you need it – we are simply a phone call away.